Alan Woo was born in England, came to Canada when he was a young boy and grew up in Vancouver, British Columbia, where he still lives. He always wanted to be a writer, and gets his inspiration from his Chinese-Canadian heritage, friends and family, reading lots of books, going to live theatre, meeting new people, traveling and playing with cats! 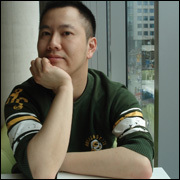 His work has been published in Ricepaper magazine and Quills Canadian Poetry Magazine. This year, Woo’s children’s book Maggie’s Chopsticks won the Christie Harris Illustrated Children’s Literature Prize at the BC Book Prizes. Plenitude editor Andrea Routley interviewed Alan about the process. I never intended to write a children’s book, actually. I have always wanted to write fiction for adults. 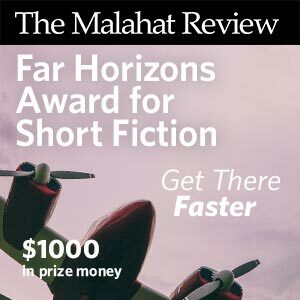 I had been writing for a magazine for awhile, and they held a Bedtime Stories contest. I didn’t plan to enter it, but the editor called me up one day and told me he wasn’t getting that many entries and asked if I would submit something. So I ended up taking this poem I had written years ago and changed it into a children’s story and called it Maggie’s Chopsticks and submitted it, but the contest eventually led nowhere and kind of got forgotten. So here I was with this children’s story I had written and nowhere to go, so why not send it out to publishers to see if anyone would want it. I did that, and Kids Can Press ended up accepting it and wanted to publish it! How is writing poetry different from writing a children’s book? This is a hard question! I don’t know if I can answer it. For me, I wanted to write a children’s book that had a message that would reach kids and help them to grow and to love themselves. When I write poetry, it’s more about me expressing myself and my own feelings. So I guess for a children’s book, I write more for the readers and the audience, whereas for poetry, it’s more self-indulgent and for myself. Both genres are challenging and difficult because you have to consider things like word choice, structure, sound, rhythm, and be able to convey a message or a feeling sometimes in a small amount of room. My favourite line in this book describes the mother as she eats shrimp: “She snatches up shrimp,/ Making them flip / flop back and forth, / And pops them into her mouth / Like candy.” This quickly captures a real enjoyment of food and eating. Over the course of this dinner, Maggie learns how to use chopsticks, but more than that, she learns that “Everyone is different. / Everyone is unique.” What led you to this story? I think growing up gay, I always felt like an outsider. I was picked on in school and bullied and tried to fit into norms that were put upon me, but I just didn’t. I wish I had someone tell me when I was younger that it was okay to be different and to embrace being unique and be an individual instead of trying to be like everyone else in order to fit in. The illustrations in the book are also beautiful. There’s incense smoke or steam on almost every page which gives it a really whimsical quality. What is the collaborative process for author and illustrator? There was very little collaboration between myself and the illustrator. I had almost zero say in the illustrations. My publisher found the illustrator for me, and I was very pleased with the results. I admit I was worried it might not turn out that well, but I was more than thrilled with Isabelle Malenfant and the beautiful artwork she brought to the story. I did send some suggestions to my editor, such as the incense flowing over onto the other pages, but I don’t know if that came about because of me or if the illustrator already had that in mind! She did a wonderful job and the book would not be the same without her. The only thing I really was consulted on was the cultural aspects. I was asked about how a Chinese altar might look like and if the red envelopes on the table were correct, etc. So I did make a few adjustments because of cultural aspects but otherwise, it was quite a separate process. 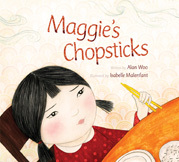 Maggie’s Chopsticks won the Christie Harris Illustrated Children’s Literature Prize at the BC Book Prizes this year. Can you tell us about that? So when I heard that Maggie’s Chopsticks got nominated for a BC Book Prize, I was beyond thrilled. 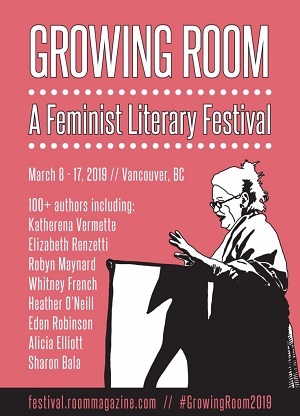 Then they invited me to be part of the BC Book Prizes tour, with myself and author Anne Fleming doing the Vancouver Island leg. That was a wonderful experience because I met the most amazing kids in these communities I had never been to before, like Port Alberni, Campbell River, Courtenay, Nanaimo, Qualicum Beach, and Parkesville. That was a fantastic experience all on its own. Afterwards, we made our way down to Victoria to the big gala event where they were announcing the winners. I honestly did not expect to win, so when they called my name, it was all pretty surreal. 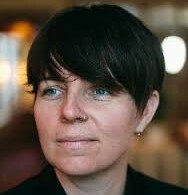 I had an unforgettable time on the tour, and then meeting all these other writers and book people at the gala was so inspiring, but then to have the honour of winning the award was the cherry on top. 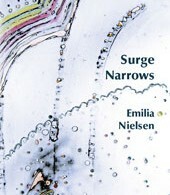 Next I would love to write a collection of short stories, which I have been working on for some time. There may possibly be another children’s book, but we’ll see!